Here is my costume entry. 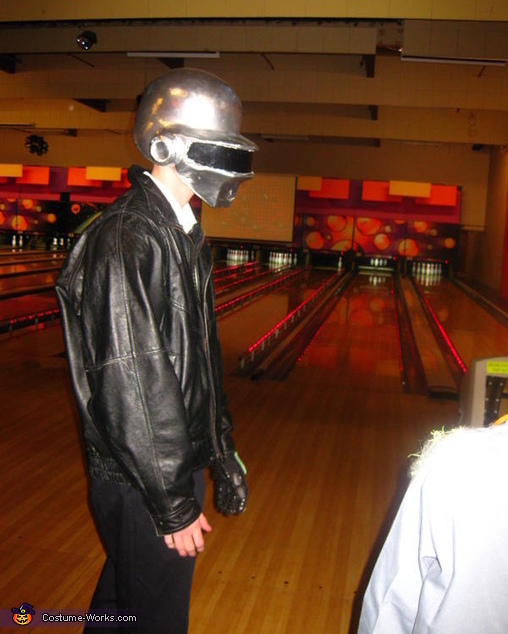 The costume I made is Thomas Bangalter from Daft Punk. I made this costume all by myself which took many hours of hard work. It is made from a baseball helmet, paper, soda cans, Plexiglas, fiberglass, car body filler, plaster, and paint. I attached some photos of myself wearing the costume and going to a bowling event, while wearing it! I hope you enjoy I spent so much time on this! Shoot me an email, I have pictures of the process.